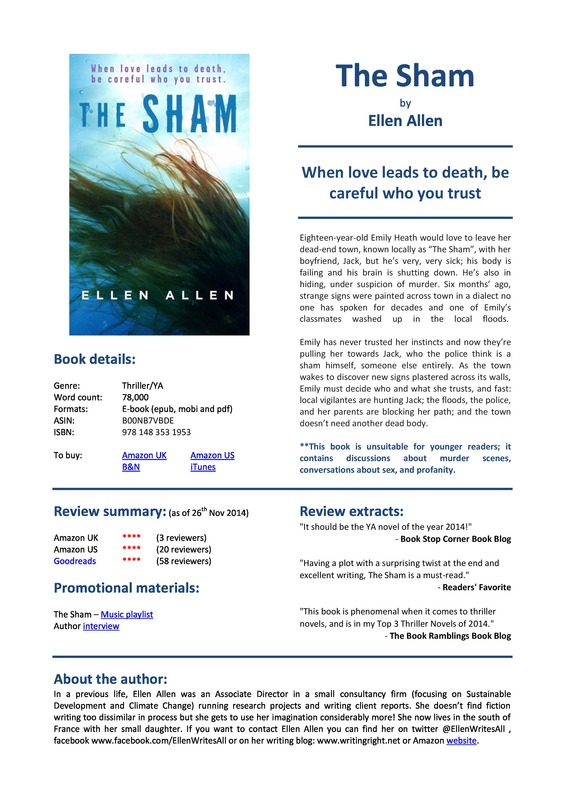 Posted on February 19, 2015 by EllenAllen	in Promotional materials and tagged book reviews, finding reviewers, finding reviews, getting book reviews, How to..., marketing materials, Requesting reviews, reviews. I think that self-pubbed authors are often so desperate to get reviews that we can be a bit brash in how we ask for them. In the excitement of our mission to get our books out there, we often forget how much time it takes to read and review them. As I’d been asking hundreds of people to review my book recently, I decided it was only fair to review a few others myself. The problem was that I was left a bit irritated by most of these encounters; the emails that I exchanged with other authors felt like they were doing me the favour and not the other way round. I know they’re giving away a free book but they were terse and demanding (“when would I be leaving that review?, not if“) and I was left with a bit of a sour taste in my mouth. 1. Find out their name! Over and over again, I keep reading from book bloggers that people are sending out review requests without addressing the blogger by name. It’s just plain rude! Be personal. A bulk email to hundreds of bloggers may be easier for you but it won’t get you any reviews. 2. Match your genre with the book blogger. Sending your crime thriller to a fantasy YA blogger is not going to benefit either side so please do your homework first and match your book to their profile. It must be so irritating for book bloggers to be contacted by authors who haven’t read their profile. 3. Be professional. Include all the necessary details in the original email. This is my template for what I send to prospective reviewers (I took it from Rachel Abbott’s great blog post on reviews here. Feel free to contact me if you want the actual review template. It’s no problem to send it to you!). You’ll need to include title, blurb, author info and links. It’s also common to be turned down by potential reviewers. Be polite, thank them for their time. Move onto the next. Moreover, they may not even get back to you. Don’t take it personally and whatever you do, don’t contact them again (there’s a great post on this here). Life is short and they may have other stuff going on. It isn’t always about you! 4. Make it clear what you’re offering. There’s a good post on Book Journey’s blog here about this. Early on, I was often accepted by a reviewer/blogger to find out that it wasn’t going to work because they only accept physical copies and I was only offering ebooks. Make sure the available formats are clear up front and obviously offer a copy of the book free of charge. This post deals with requesting reviews from individual book bloggers. It doesn’t cover where you might look for reviews from publications. There are a few media opportunities listed here from BookBaby’s blog. Also, review requests should be considered as part of your overall marketing strategy, which I discuss in more detail in my self-publishing guide here. As always, add your comments below. Great post! I updated my review philosophy section with some of the things you mentioned to try and target the review requests I’ve gotten. Thanks for posting! Thanks for replying! I’m glad it was helpful to target the review requests you receive – then everyone’s happy, right? All the best! Nice post! Thank you for linking to my post about review requests. You are right, bloggers can also help by making sure that their review policy and contact information is easy to find.